John Burke Chairman welcomed the members to the 49th Annual General Meeting of Castlebar Credit Union. The credit union movement's aim has always been to provide inclusive access to savings and loan services at fair and reasonable rates, while maintaining the security of member's resources. Castlebar Credit Union under the leadership of a committed Board of Directors, and, with the loyalty of its members, has once again delivered a strong set of accounts. Pictured in the Welcome Inn at the Credit Union annual general meeting, existing and newly appointed directors of the board, front l-r; John O’Brien, Denise Kinsella, John Burke (Chairman), Jane De Barra Murphy and James McLoughlin (Secretary). Back l-r; John Walsh (Deputy Chairman), Gerry Lavelle, Stephen Blendell, Con Lydon and John Mooney. Photo © Ken Wright Photography 2015. The Credit Union Act 2012 has brought about significant change to the operating structure of credit unions. The Board of Directors agrees policy, strategy and monitors the credit unions progress, while management focus on the day to day operations and delivery of services under the agreed policies, and in line with the strategy. Moving away from the day to day operational issues allows the board to concentrate efforts on developing appropriate strategy in line with our stated vision to be a progressive financial co-operative that leads the way in member service. Castlebar Credit Union's strategic journey is not one with a defined end point, but rather, one which will see us adapting to the rapidly changing external environment which is dominated by innovative technology, competitive pressures, regulatory imposts and the altering needs of our members. Following the development of a detailed business case and feasibility study, contracts were signed in August and the building project is now well underway. The due date for completion of Phase 1 - Banking Hall is April 2016 and it is expected that the project will be fully complete by October 2016. This project is designed to support the delivery of an efficient Credit Union service in an appropriate setting for members. 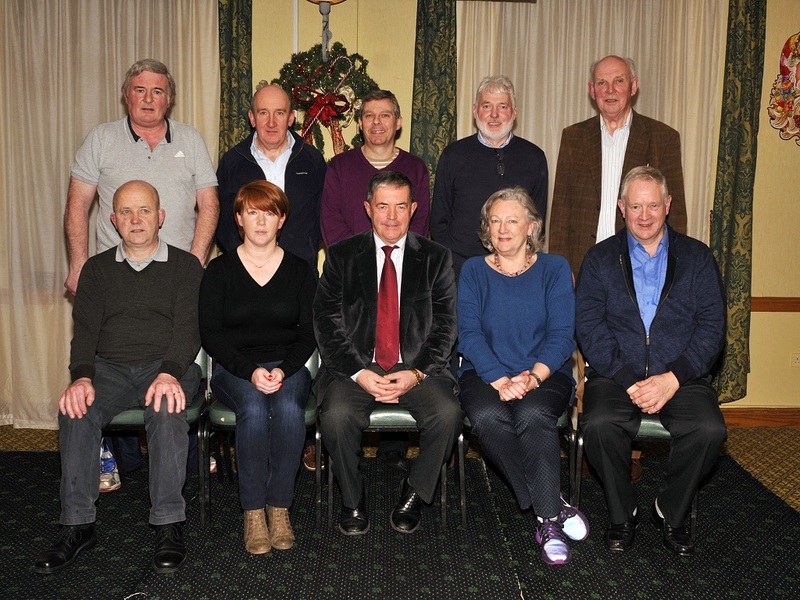 Ensuring that we had the necessary governance and operational control framework in place the board have negotiated and overseen the successful transfer of Ballyhaunis & District Credit Union in May 2015 and following due diligence approval has been given for the voluntary transfer of Achill Credit Union subject to member approval at this AGM. This will bring the total assets of the Credit Union from €145m to circa €176m. The board remain committed to their position of mutual support for and open communication with all other Credit Unions. Supporting this position is the proposed Name Change for the now larger credit union to First Choice Credit Union Limited. The board of directors are confident that this name change will serve the wider membership base and as recently borne out by the consumer satisfaction survey it reflects our position in the community as our member's first choice. Mobile App Facility & Website redevelopment. The new and improved website is in the final stages of development and will be complimented by a new mobile app facility. This means that members will be able to access the credit union 24/7 using a variety of devices. We will be launching both the new website and mobile app in the first quarter 2016. We would urge anyone tempted to borrow from Moneylenders this Christmas to contact the Local Credit Union First. Borrowing from the Credit Union is 10 times cheaper! The Board of Directors is mindful of the necessity to develop the credit union in order to cater for the changing needs, and expectations, of the increased membership. Maintaining our strong reserves and capital base provide solid foundations for the implementation and development of our strategic plan in the coming years. Volunteers offering their many skills, knowledge, time and experience for the benefit of the community, are a very important part of the continued success of any credit union. I sincerely thank all those volunteers who have given time to our credit union over the years and have contributed so much to its success and growth. I remember in particular this year our dear departed friend and former director Sean Mc Cann, who gave many years of dedicated service to the credit union and believed so strongly in its ethos. May Sean rest in peace. As we approach our 50th anniversary our credit union is well placed to grow and prosper, and to provide the additional services and technological improvements that you, the member, require and deserve in the years ahead. These advances will compliment our highly valued in-branch personal service and ensure that we can continue to be your "First Choice" for financial services. Sincere thanks to the members of the Board of Directors, the Board Oversight Committee and the many other committees for their selfless dedication, time and co-operation. Thanks also to the professional staff who serve our members with courtesy and care. Also, our thanks must go to our External and Internal Auditors, and the many specialists and suppliers who have worked with us during the year. Most importantly, thank you, our loyal members for maintaining your trust and support throughout the year. This is YOUR credit union, your co-operative financial institution. You, the members, are the owners. We value your feedback and welcome your views and questions. With your ongoing loyalty our credit union can continue to make a valuable and very positive contribution to our local economic and social community in the years ahead.